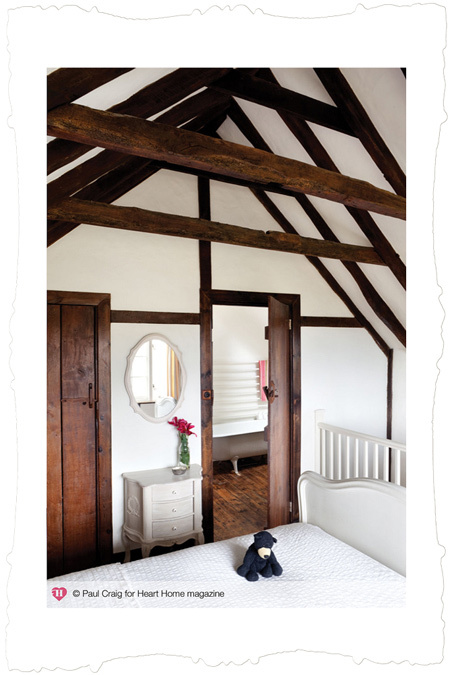 Knaves Acre is the 400-year-old cottage in Sussex that we had the utter delight to live in for a couple of years. Such a community, such wonderful countryside, and a beloved circle of friends. 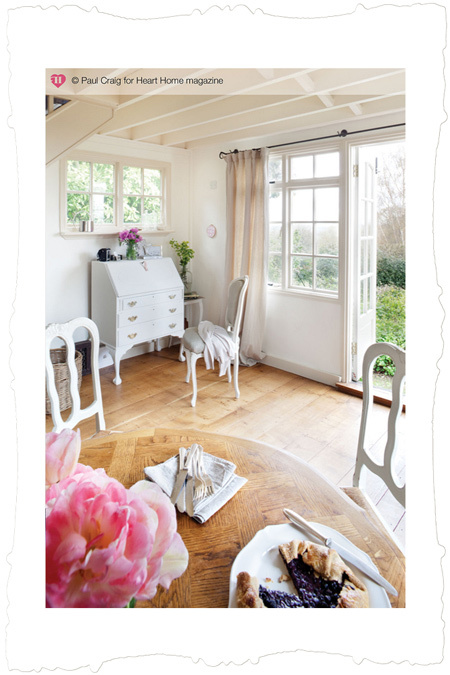 The old cottage is featured in the summer issue of the British interior design magazine, Heart Home. 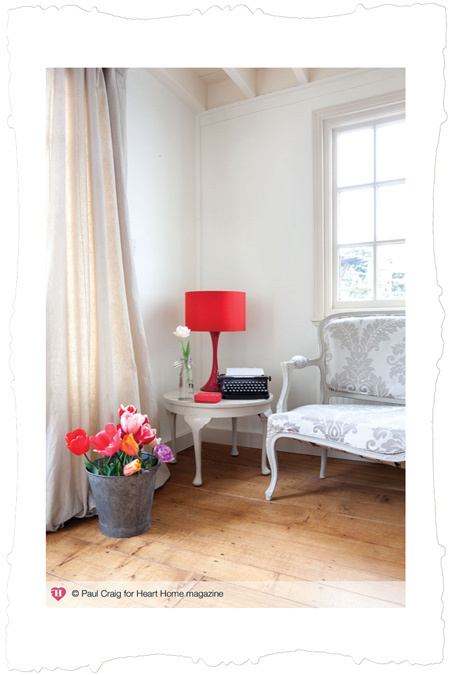 There are beautiful, inspiring spaces in every issue, do go have a look. Would you like to see Knaves from their perspective? Here are some of the images. In my studio, the hand-crank machine on the long antique table, usually covered in fabrics, papers, clay pieces, but sometimes transformed for a party. 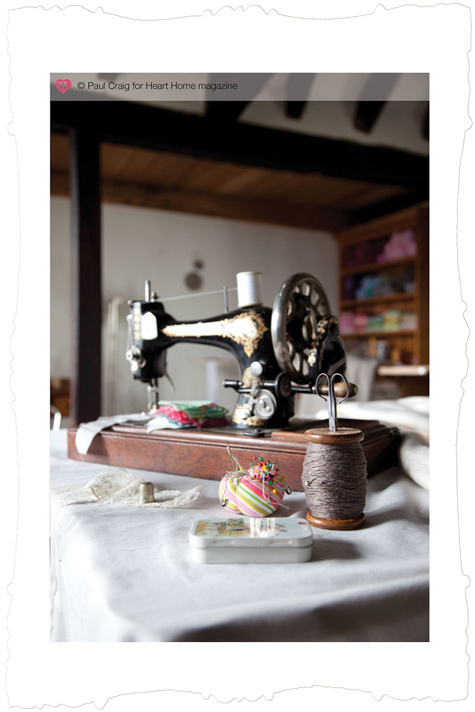 The old treadle. Those steps lead up to a reading room in the eaves, and the door opens to the deck and a spectacular view across the weald. 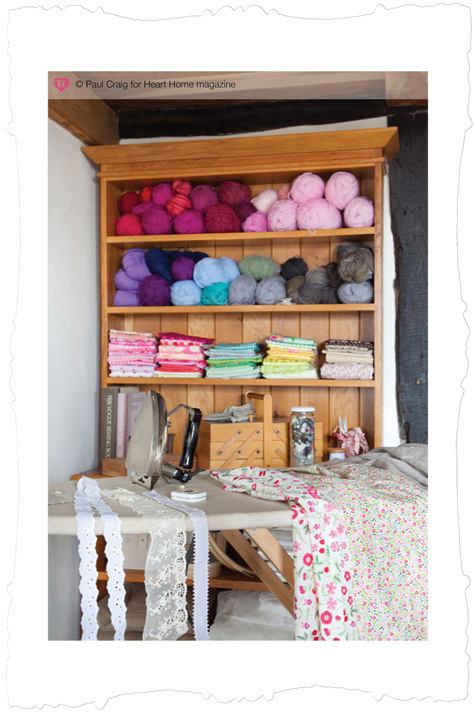 I do love shelving in a studio for yarns and fabrics and excellent tools. I like to see my things, and know where to find everything at a glance. Our daybed, much transformed since we acquired it, with the pillows I sewed as studies in linen all across it. Friends would sleep here, and it is the best place to curl up with tea and a book. I’m very fond of the craft cupboard in the corner. 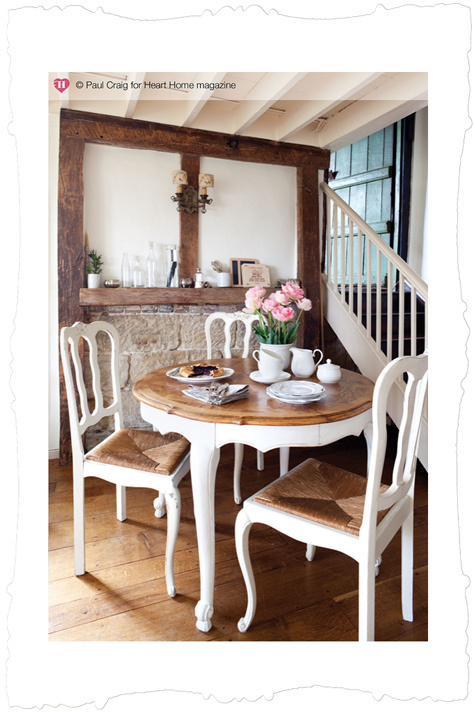 We studied at the little round table in the mornings and shared our meals there in the evenings. I like to keep an old crate full of study books and pencils nearby, and basket for napkins and mats. I always thought of the ledge beside it as a mantel, though the little wood stove is opposite. The writing desk that I fixed up, and its companion, the painted chair. I love to have a place dedicated to writing and image editing, and all the small things that surround that sort of work. Well positioned between the wood stove and the windows! The doors lead to the rambling old garden, once an acreage, with a pond and a swing and a greenhouse in it. And a cliff! The settee is an upholstery project, my first. Next to it a table I revived, and my tall girl’s bluebird typewriter, with a story in it as always. The flowers all round the cottage were picked at Blooming Green. Up the steps are the bedrooms, with the painted bed and pot cupboard. The vaulted ceilings are something else! From that window we could see the Bluebell steam by in the distance. 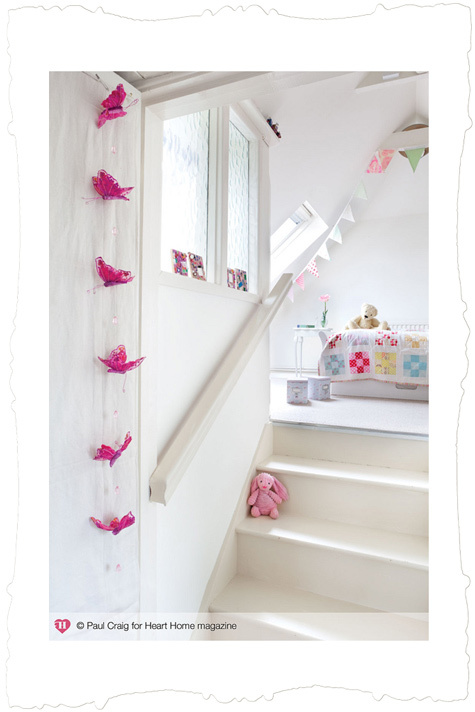 And through to the girls’ room, tiny but perfectly formed. The truckle bed helped the space function well, such a cosy little room in the eves. One wall was entirely lined with shelves full of books and beloved games. 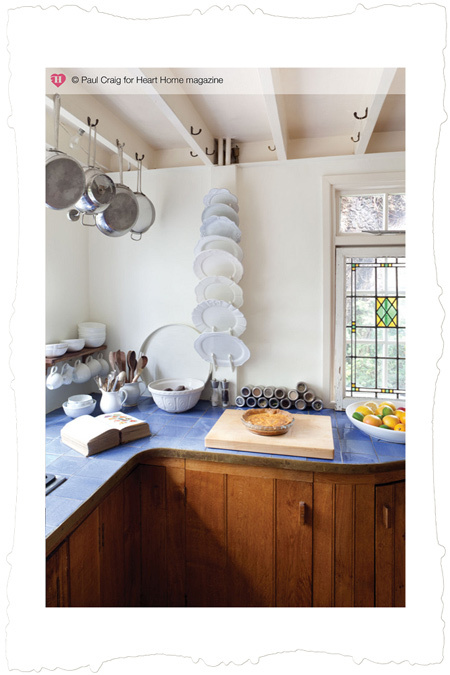 I loved this kitchen for its marble counter in one corner, bright windows beyond the hob, and open space to stack my own pottery along with pieces I’ve collected. 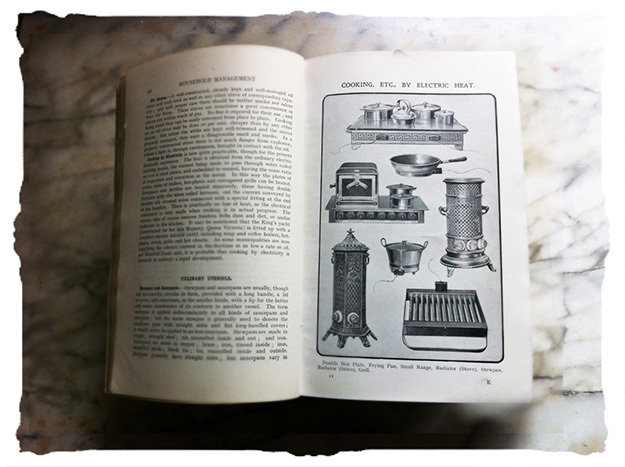 (And for its old edition of Mrs Beeton’s.) 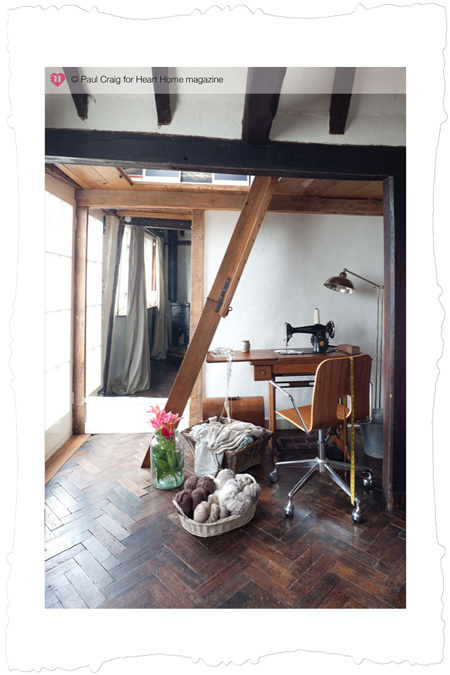 It was fascinating, and so much fun, to watch the lovely editors and photographer Paul Craig working to tell the cottage’s story, looking at the space so differently and shooting from angles I’d never have expected. We ate the tarts I’d baked, and had a lovely time. 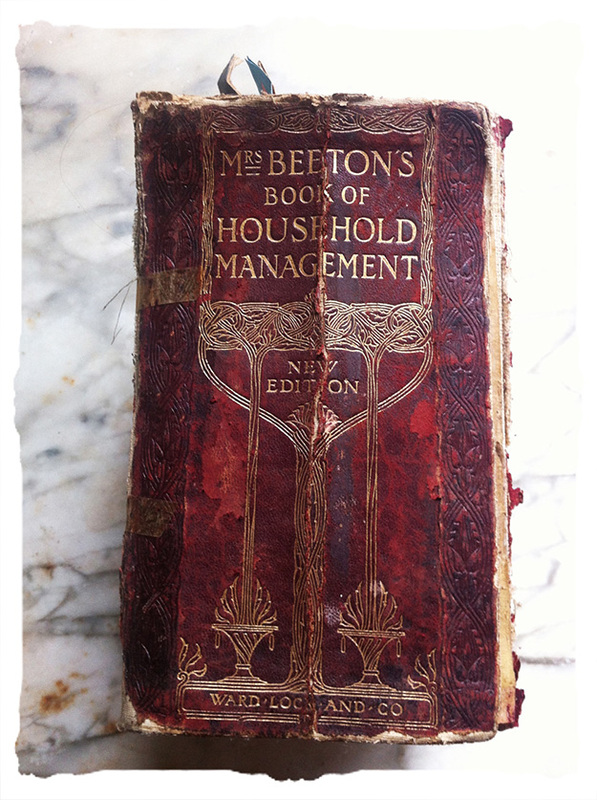 Mrs. Beeton’s Book of Household Management, 1861, a guide to all facets of running the Victorian household. 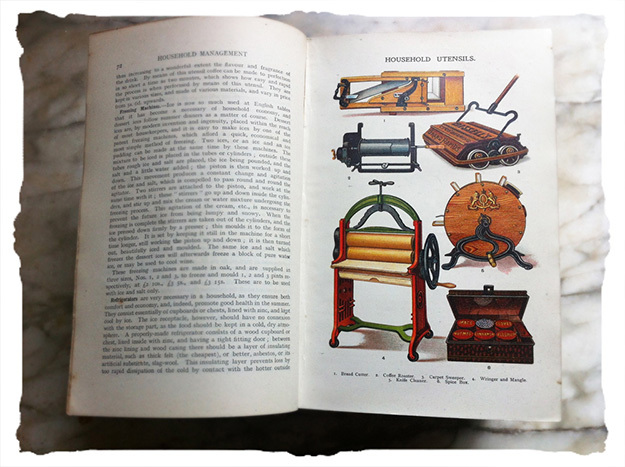 And for its illustrations and discussion of household tools, solutions, recipes, remedies. It’s an extraordinary bit of history to page through. 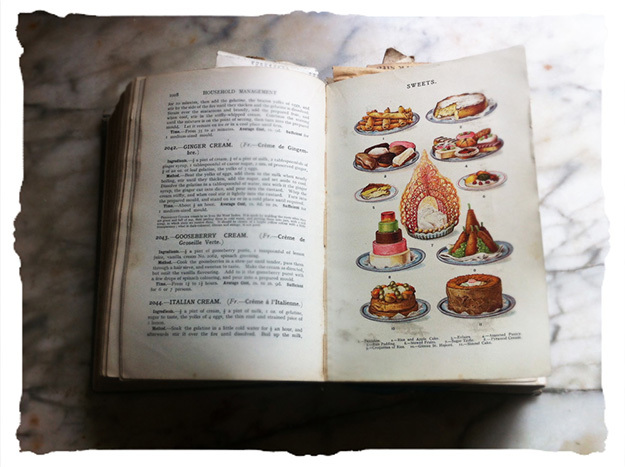 I had a peek at Mrs Beeton’s apple turnover recipe, of course. FRUIT TURNOVERS (suitable for Pic-Nics). 1278. INGREDIENTS – Puff-paste No. 1206, any kind of fruit, sugar to taste. Mode.–Make some puff-paste by recipe No. 1206; roll it out to the thickness of about 1/4 inch, and cut it out in pieces of a circular form; pile the fruit on half of the paste, sprinkle over some sugar, wet the edges and turn the paste over. Press the edges together, ornament them, and brush the turnovers over with the white of an egg; sprinkle over sifted sugar, and bake on tins, in a brisk oven, for about 20 minutes. Instead of putting the fruit in raw, it may be boiled down with a little sugar first, and then inclosed in the crust; or jam, of any kind, may be substituted for fresh fruit. Sufficient–1/2 lb. of puff-paste will make a dozen turnovers. I love that she calls pastry, simply, paste. So it is! Patisserie. This is a 1906 edition of the book, first published in full in 1861. I’ve borrowed it from a friend and found it full of yellowed clippings and ads dating back from the 1920’s. Entrancing stuff. 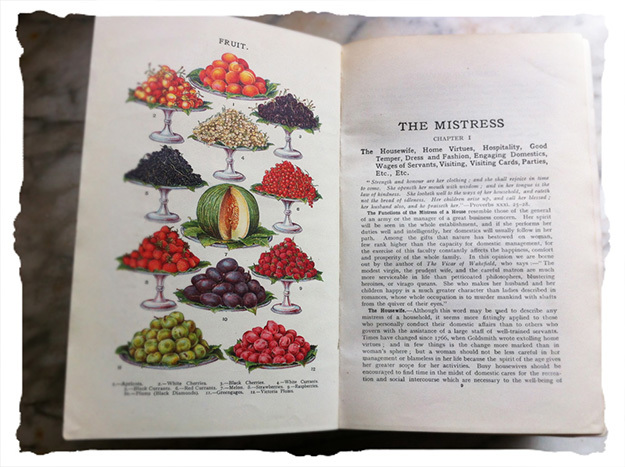 The book is available to read online, and for a bit of social history along with a look at Isabella Beeton’s life, there’s Sophie Dahl’s The Marvellous Mrs Beeton.